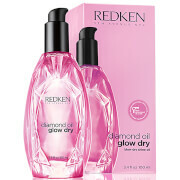 Indulge your hair in Redken All Soft Argan-6 Oil, the most luxurious and versatile formula from Redken yet. Enriched with omega-6, hair will be left replenished, moisturised and with a gorgeous head-turning shine. Soften hair like never before with this omega-6 enriched, fair trade Redken All Soft Argan-6 Oil. It provides concentrated softness, deep conditioning and lasting suppleness to intensely nourish dry, brittle hair. Plus, its gorgeous lightweight formula won’t weigh hair down. Exclusive Keratin Enrich Complex restores hair's protein comprised of keratin for renewed elasticity and intense softness. Your hair will feel instantly softer with 15x more conditioning, increased manageability, suppleness and a long lasting shine. 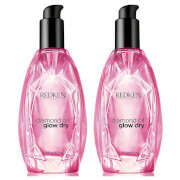 Apply on dry or damp hair concentrating on the mid-lengths and ends. Re-apply on dry hair as needed. I usually use Morrocan oil but just thought I'd try REDKEN. It's good stuff. Don't need much on fine hair, one pump. Keeps hair smooth all day. I discovered this product about 7 years ago and it’s my go to. I use it as a mask sometimes, by mainly a few pumps before and after hair drying. My hair always feels soft, healthy and shines. Especially when i use the all soft shampoo and conditioner too!! Good to smooth my frizzy hair and doesn't make it greasy. However, for my thick hair, it does not last long. A good match for Moroccan oil. I purchased this hair oil, it arrived damaged, no problem dealt with swiftly and replaced by look fantastic. I like this hair oil, very good before blow drying for smoothing the hair, helps protect from GHD damage!! 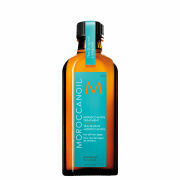 A good product and good match for Moroccan oil or kerastase elixir. Would recommend on colour treated naturally curly hair. Love this product, as it gives my hair a shine and nourishes, but does not feel greasy. I love this oil, i use it before i dry my hair :) its brill, gives my hair a lovely shine and healthy glow! Defo a keeper in my hair kit! i use this along with redken shampoo and conditioner, hair lasts for at least 3 days wihtout washing!! A premium product. Redken has produced a light, manageable oil for conditioning the hair which adds lustre and allows creativity of style, naturally. No grease on the collar; no grease on the pillow! I really liked the redken all soft hair oil. My hair feels a lot softer and healthier now. It does not leave my hair grease and smells wonderful! A strongly recommend this product. This is an excellent product for anyone having brittle and dry hair. Some drops through your hair and it will be soft to the touch and look more healthy. Recommend it to anyone.